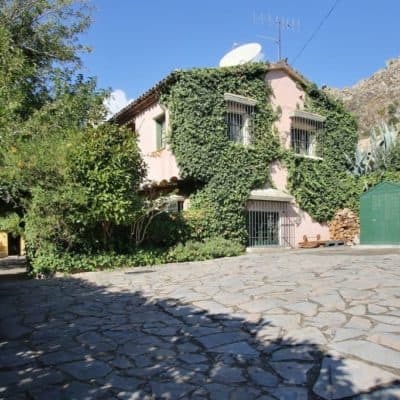 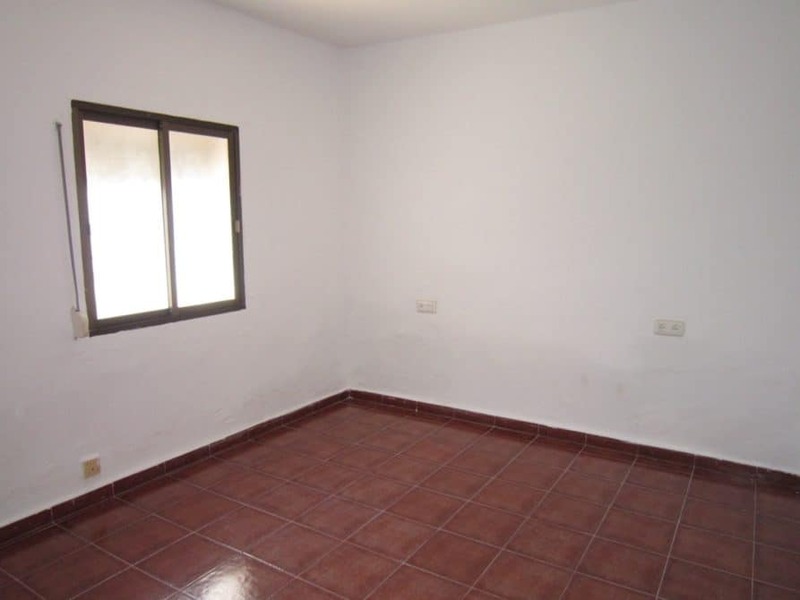 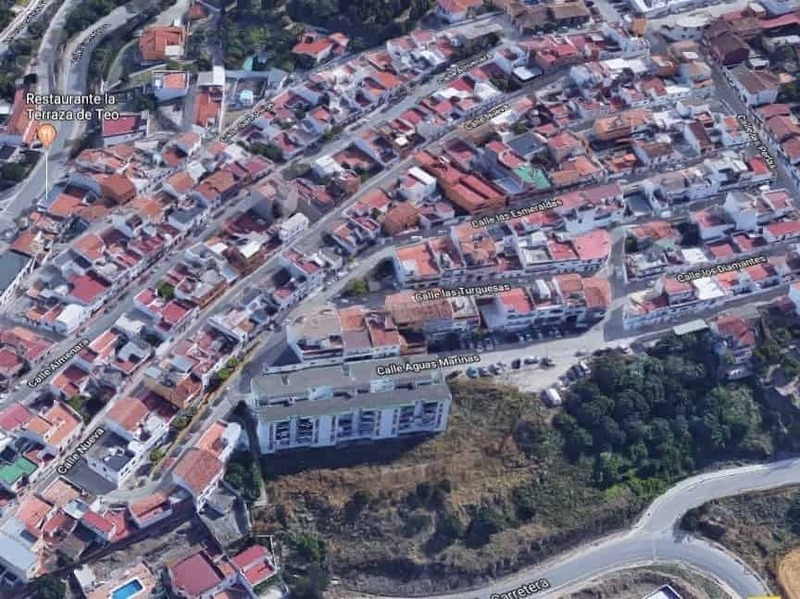 Resale Bank Repossession in Guadiaro Village priced to sell. 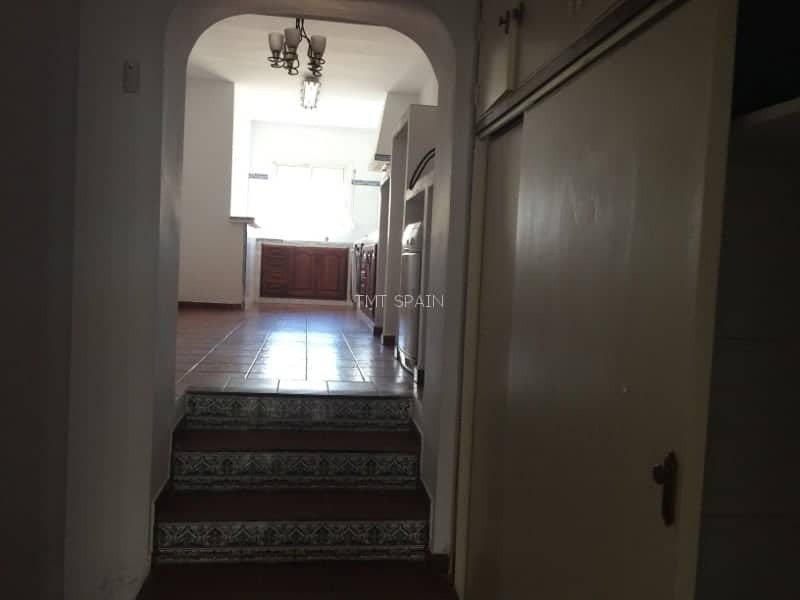 These are 2 properties on the same title deeds. 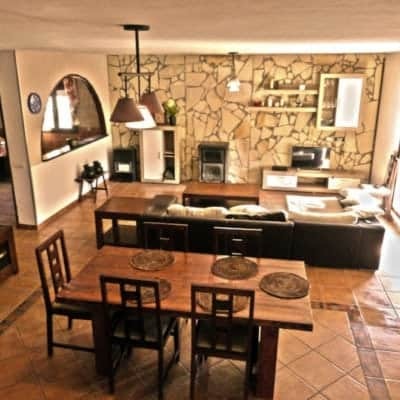 The main house offers 4 bedrooms, a separate sitting room with independent kitchen and 2 bathrooms. 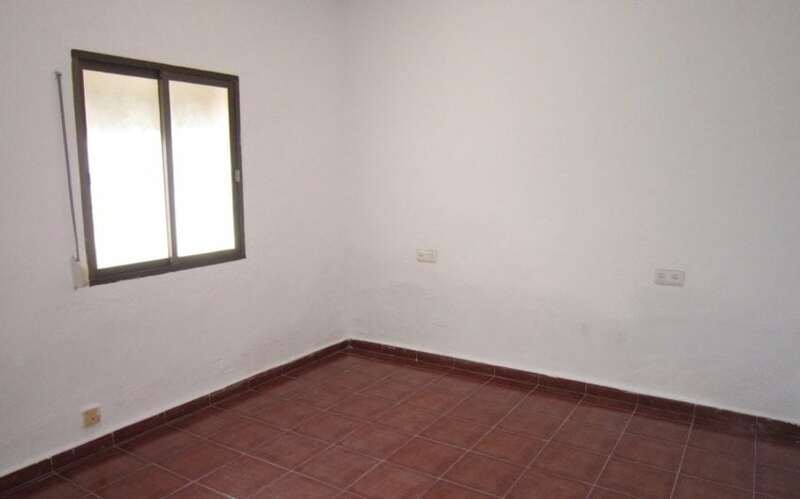 The other property has 1 large bedroom and a bathroom plus separate sitting room and independent kitchen. 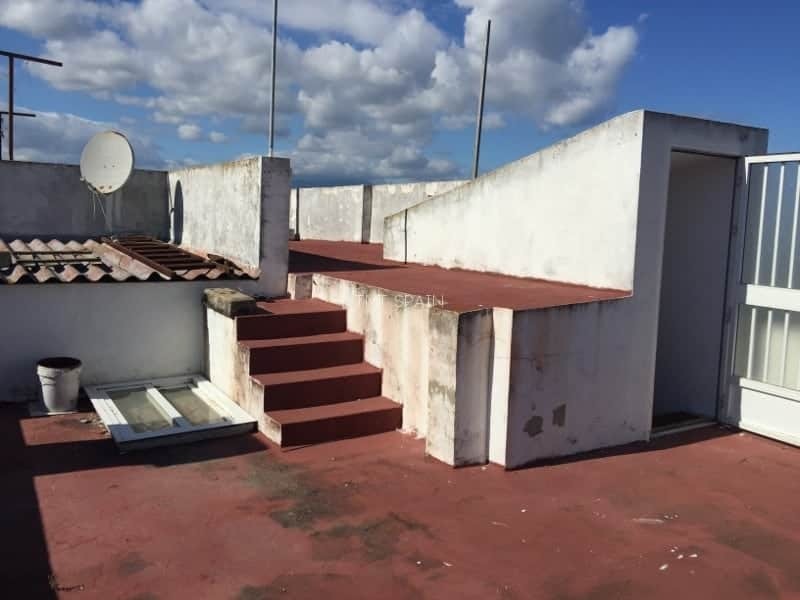 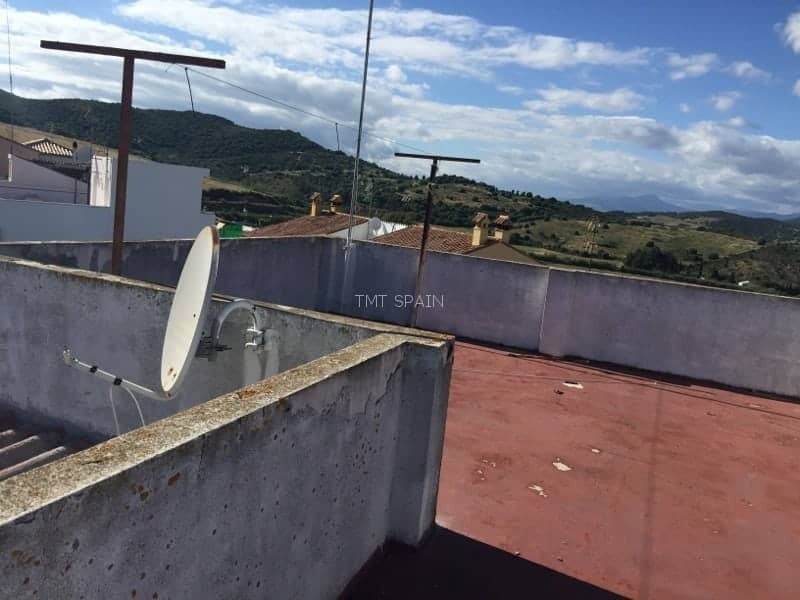 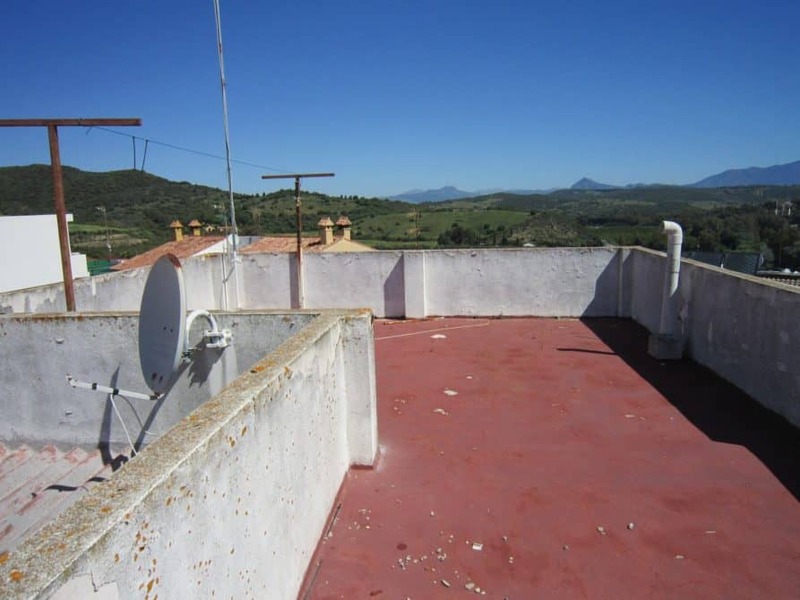 Both properties are constructed on 2 floors and the four bed, 2 bath has a roof terrace that can easily be reformed into a beautiful roof garden. 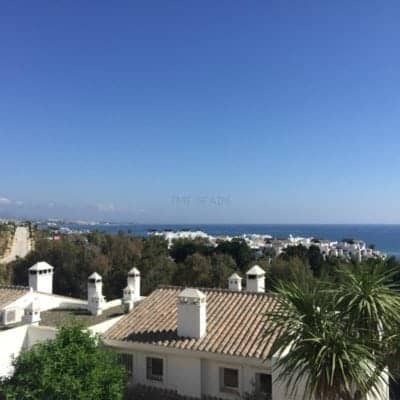 The terrace is tiered into an upper and lower area with sea views over Sotogrande Marina and out over the East towards a lovely protected zone of green fields. 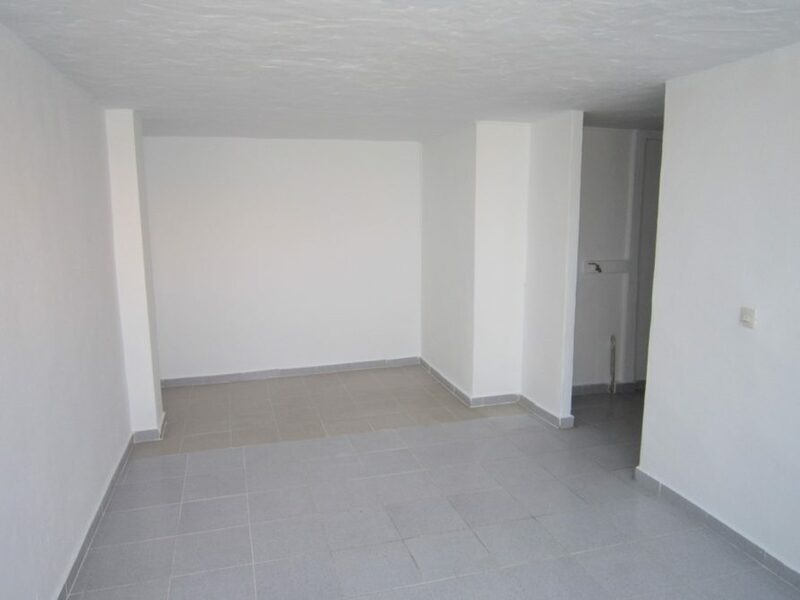 This is a great opportunity to be in a sought after location and yet enjoy affordable housing. 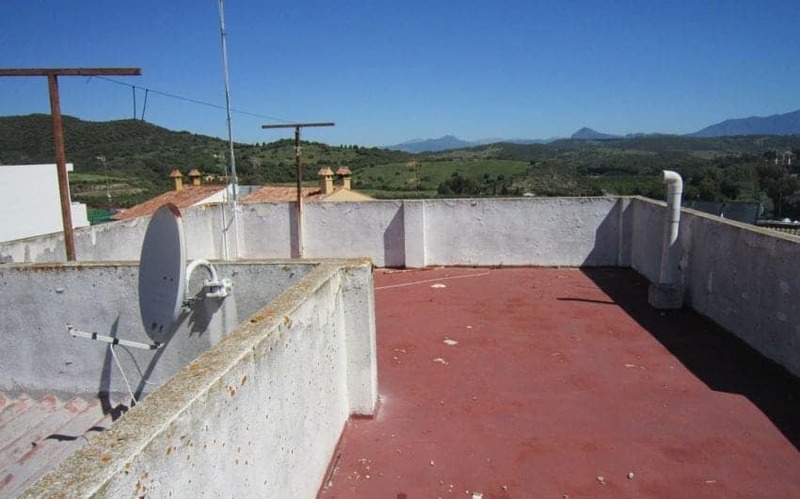 The roof terrace could be levelled by raising the lower part and having done which is about 50 m2. 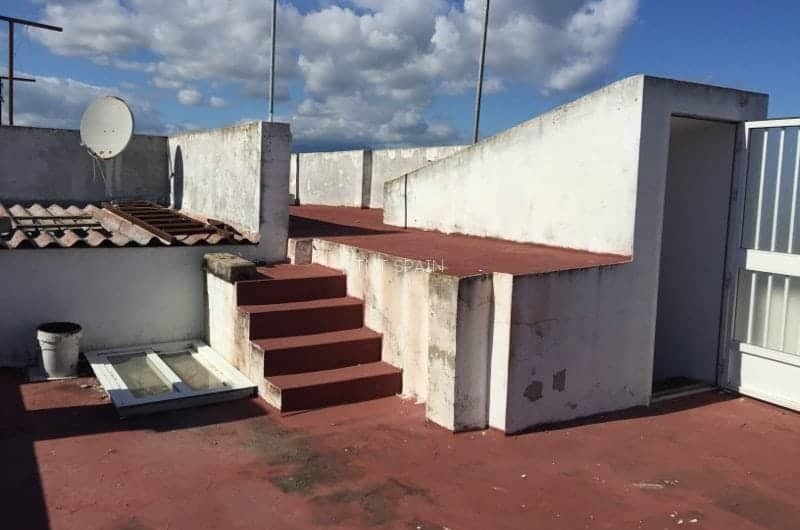 So although there’s no garden, there is a way of having one on the roof. 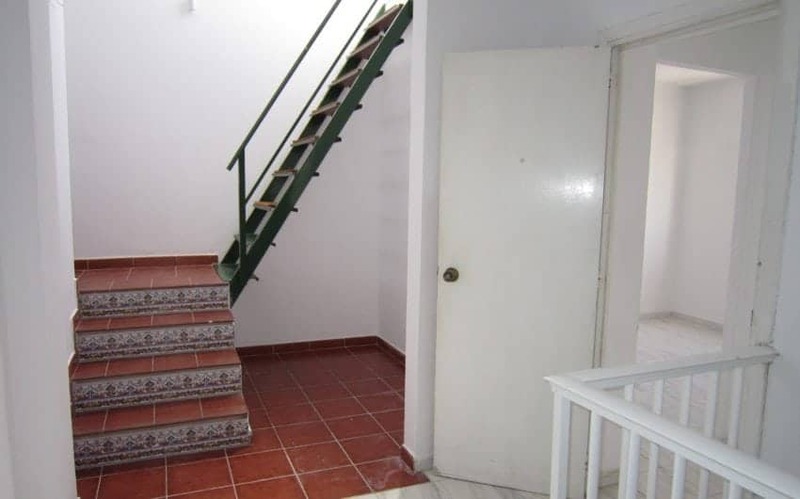 This is an interesting proposal, essentially two properties for the price of one. 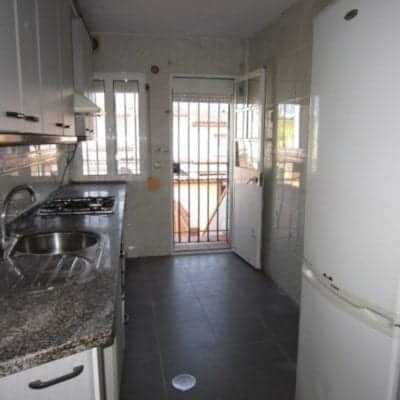 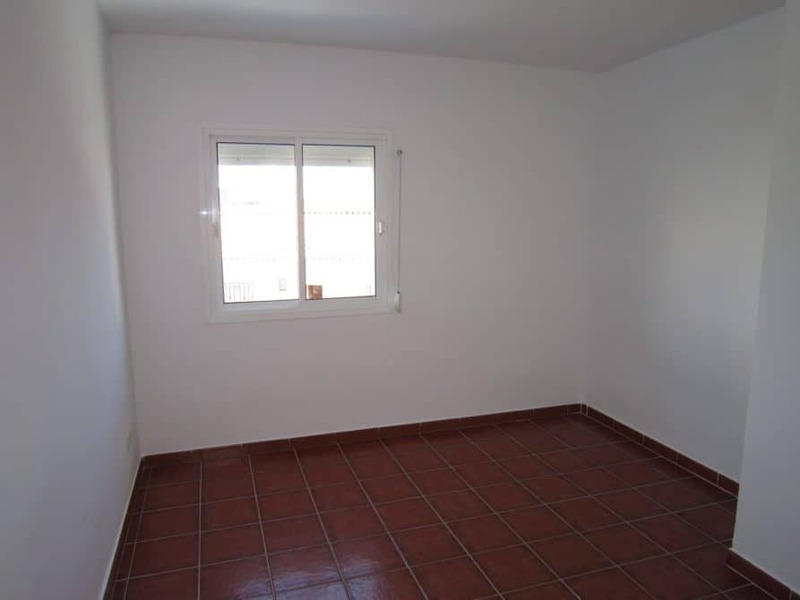 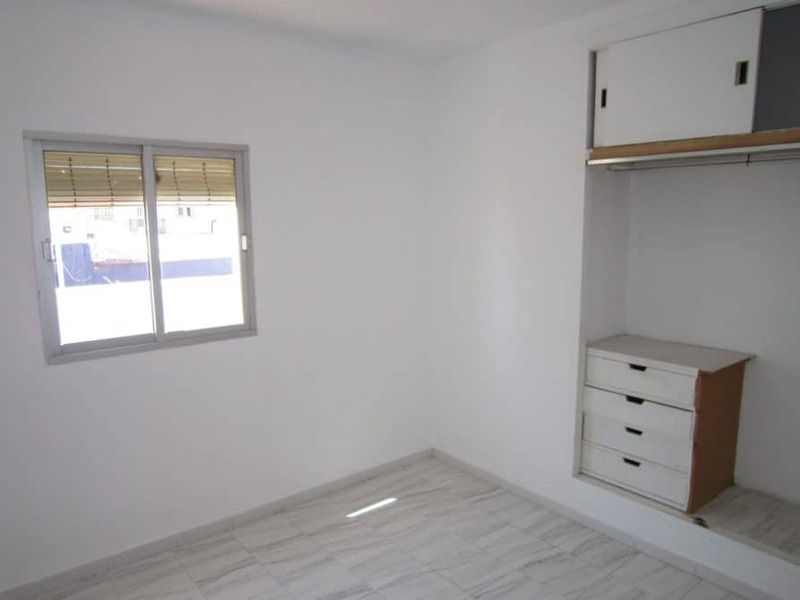 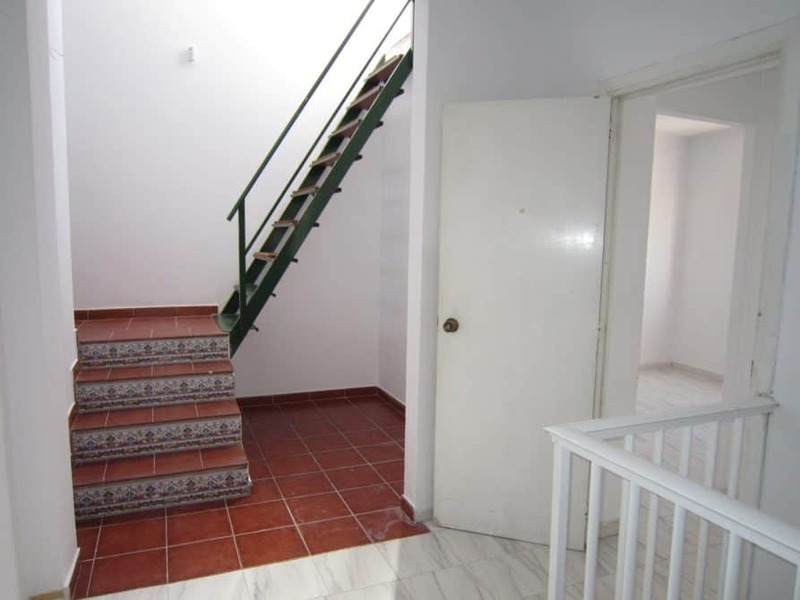 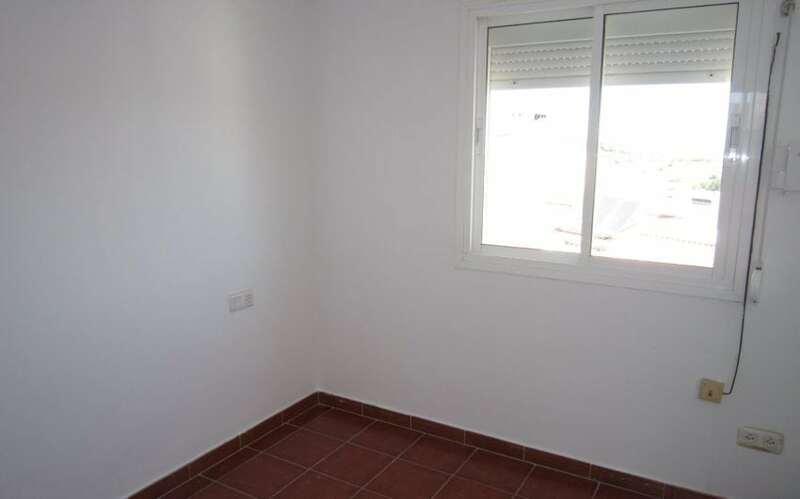 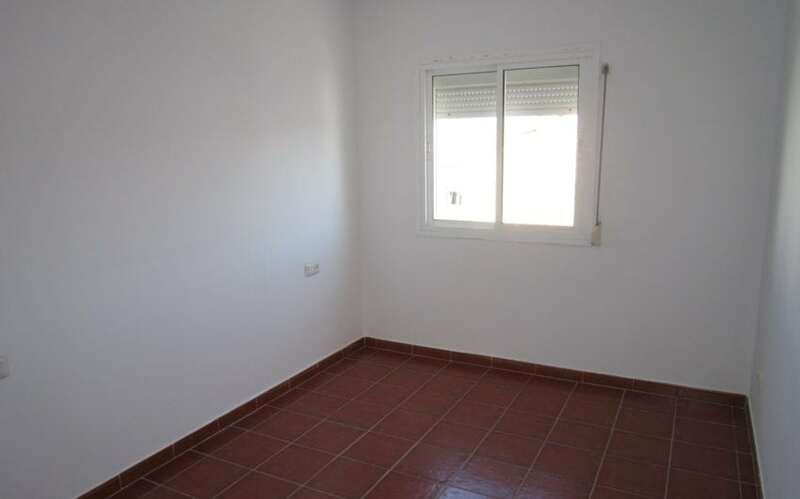 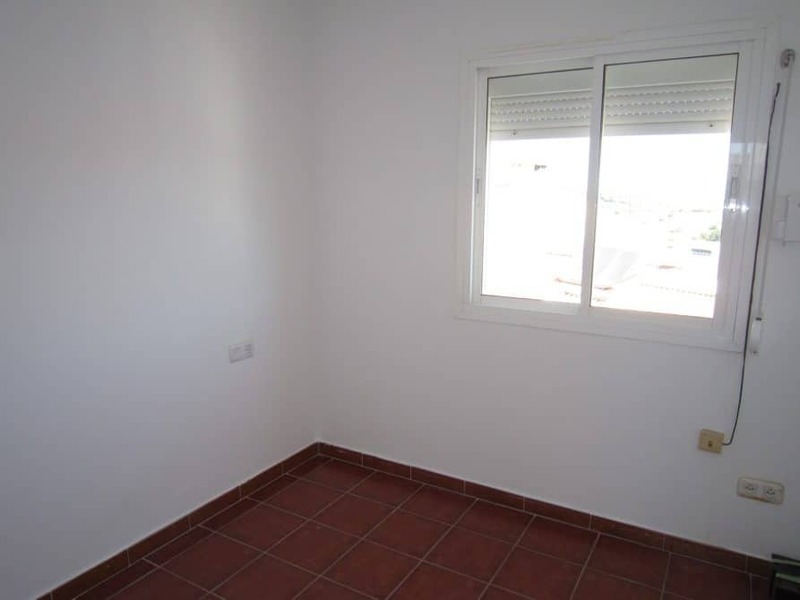 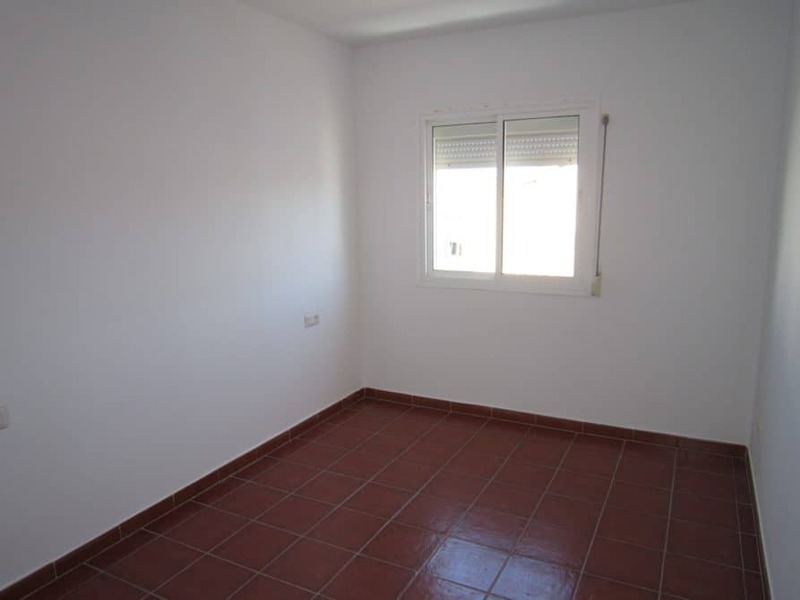 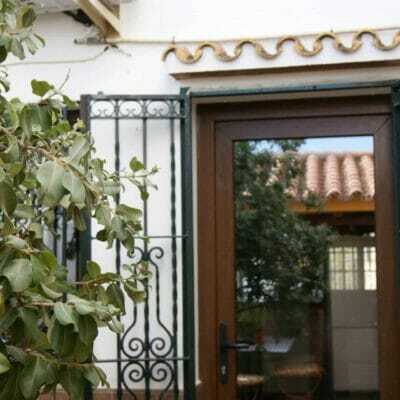 The guest townhouse is completely independent and is of a large size, but needs reforms. 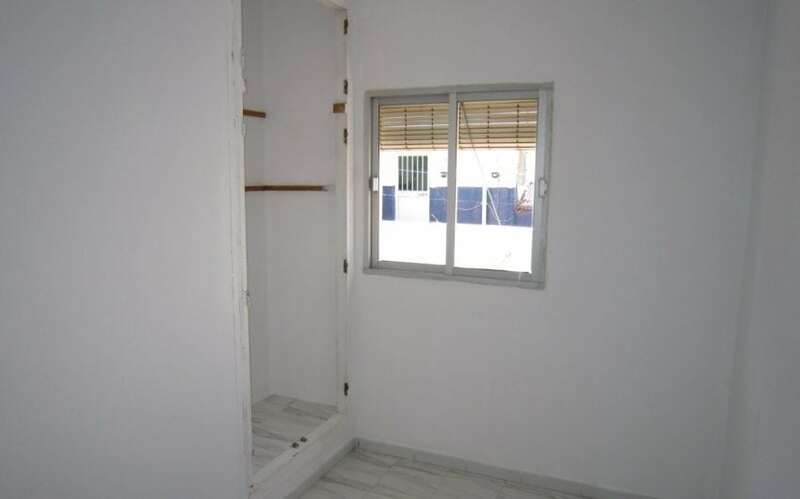 You wouldn’t have to do much, no rewiring for example, however it is pretty basic accommodation as is. 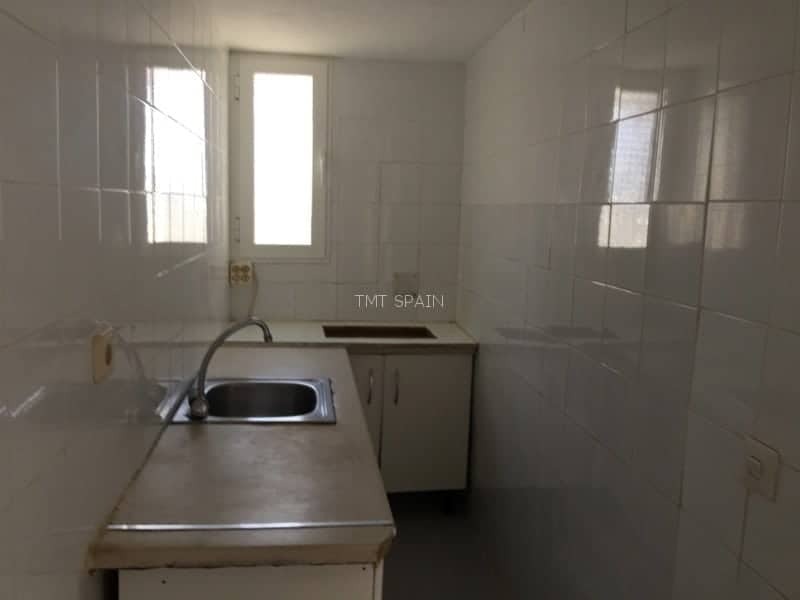 A lick of paint, modern kitchen units and perhaps join the property to the one it backs onto in the next street and when friends and family come to stay they can have their own space. 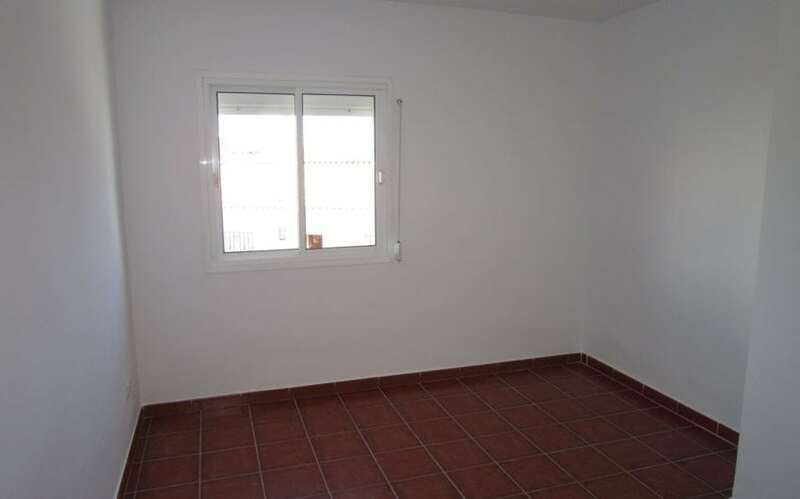 Another possibility is to live in the one bed in the summer months and rent out the four bed when rents are sky high. 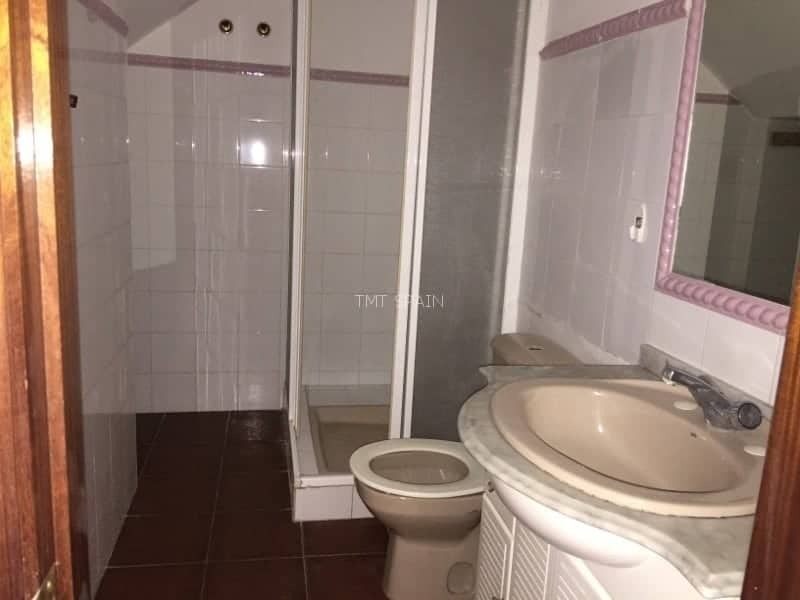 Always good to have options. 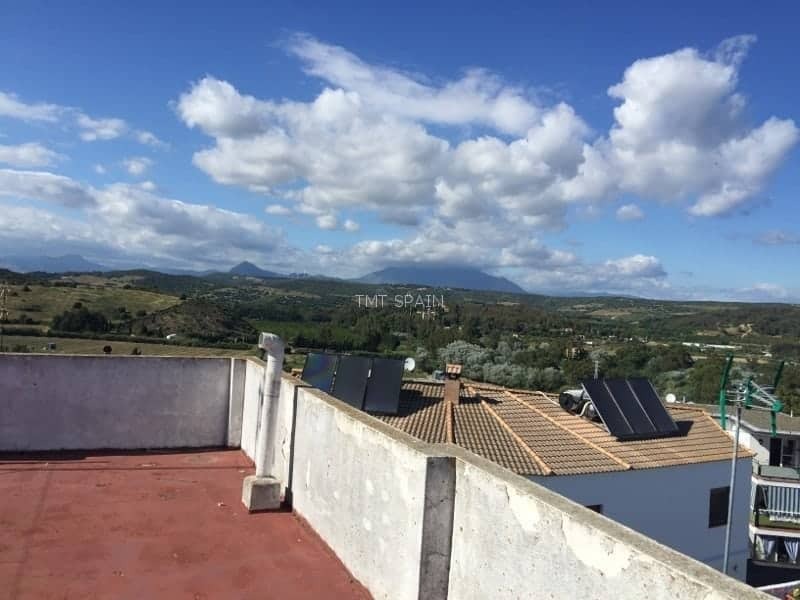 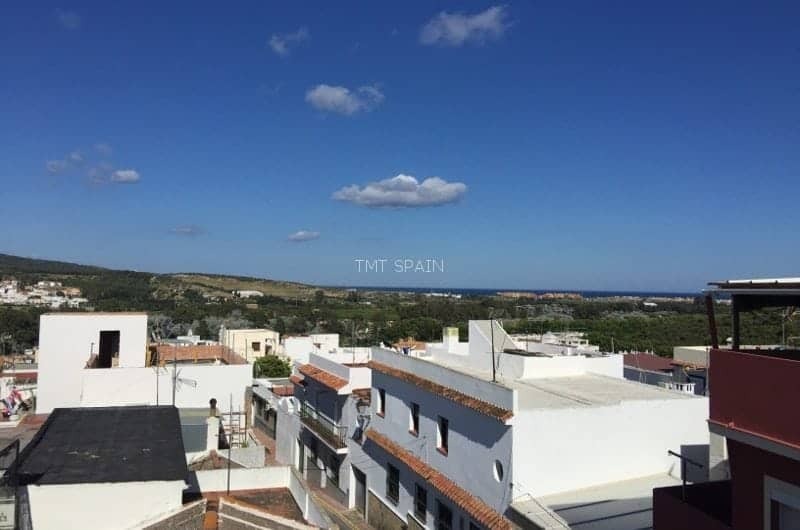 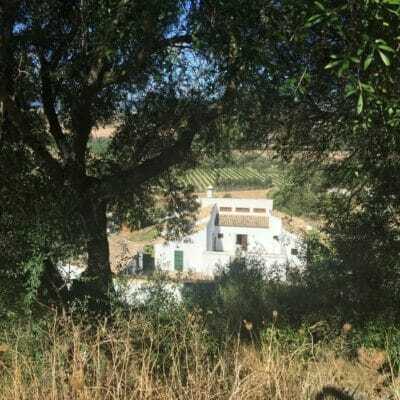 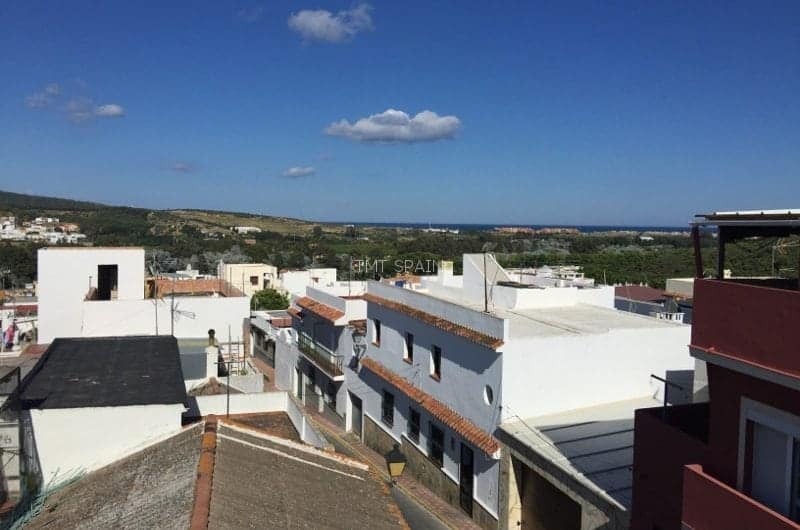 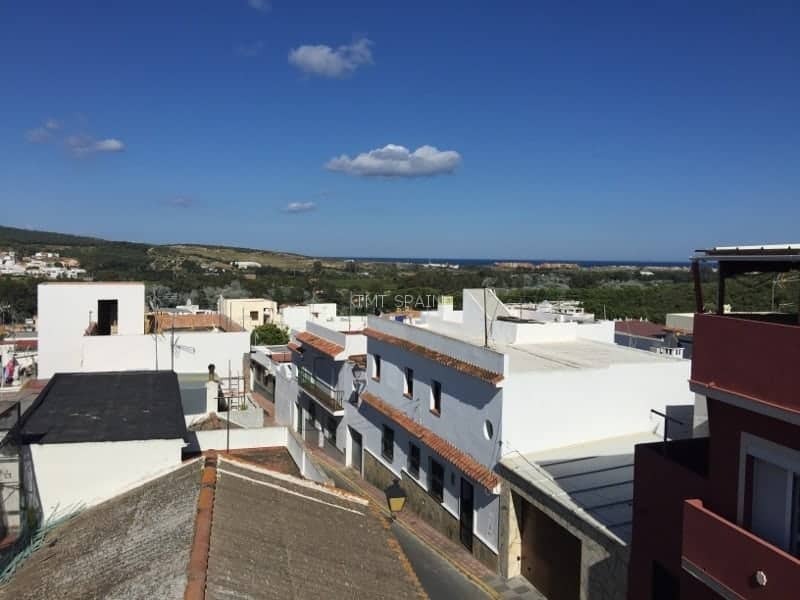 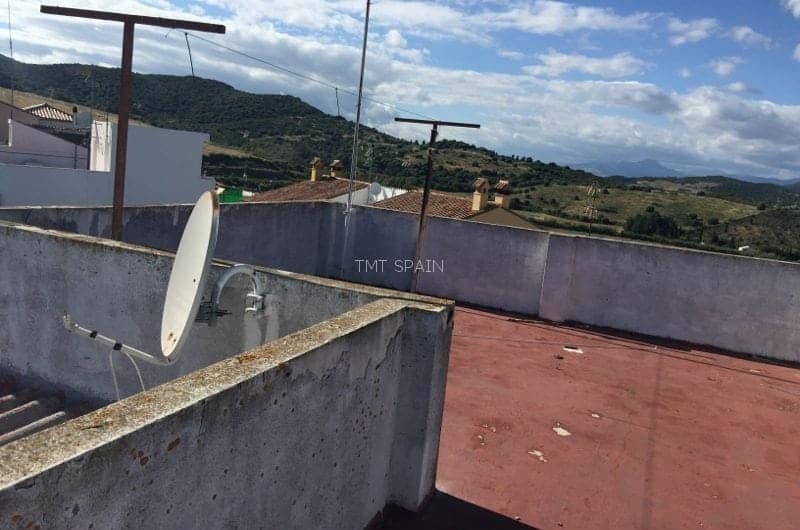 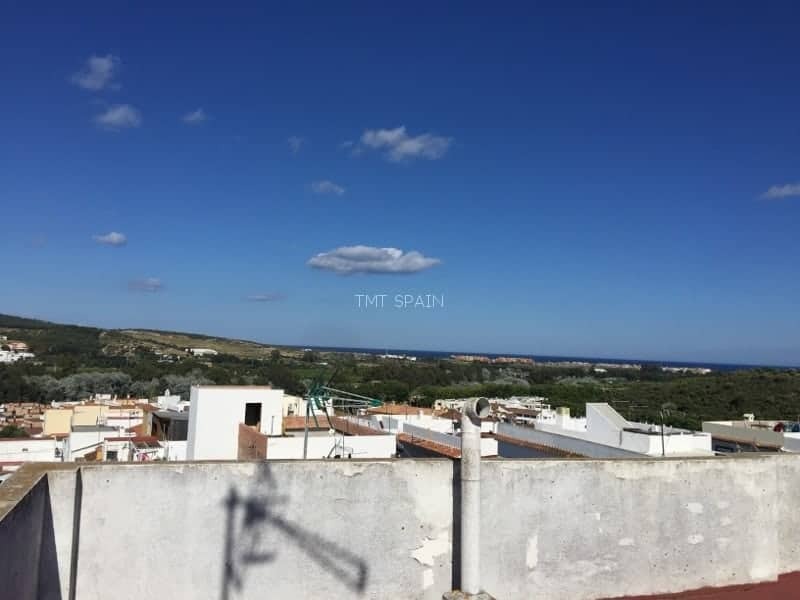 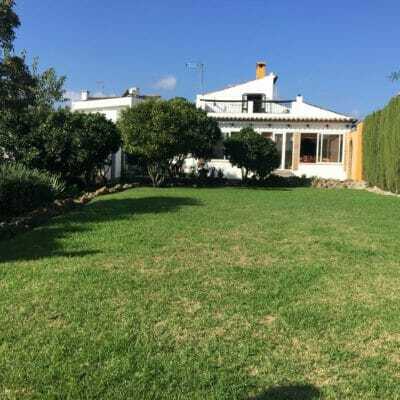 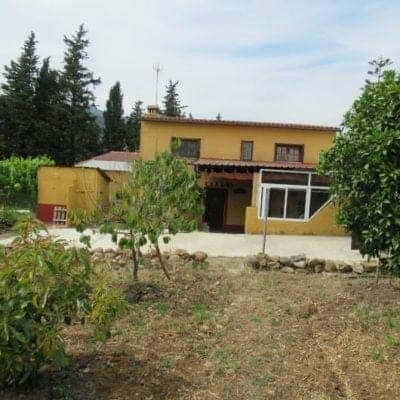 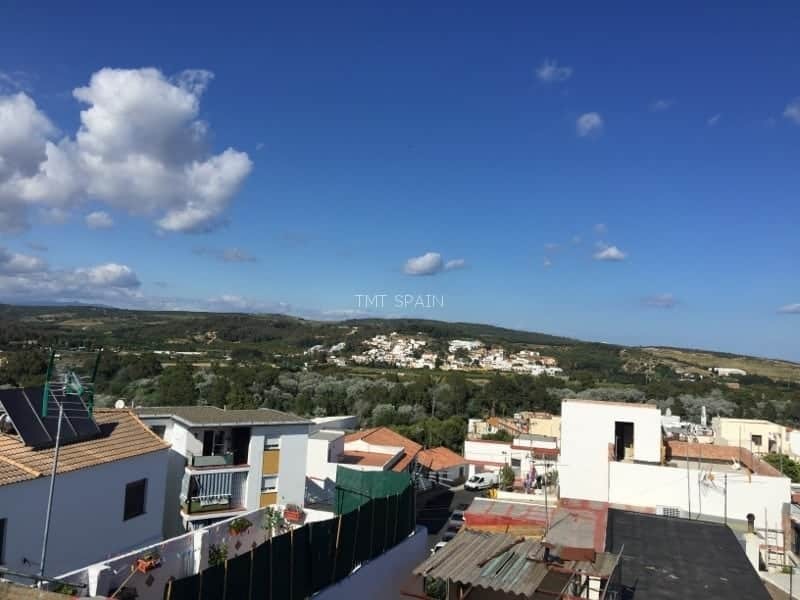 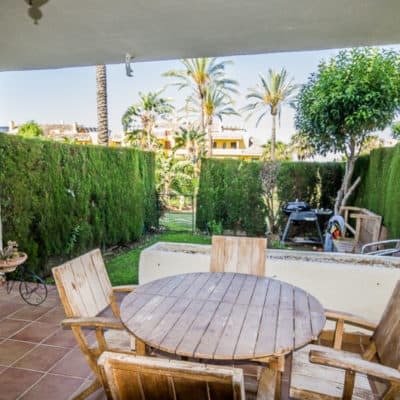 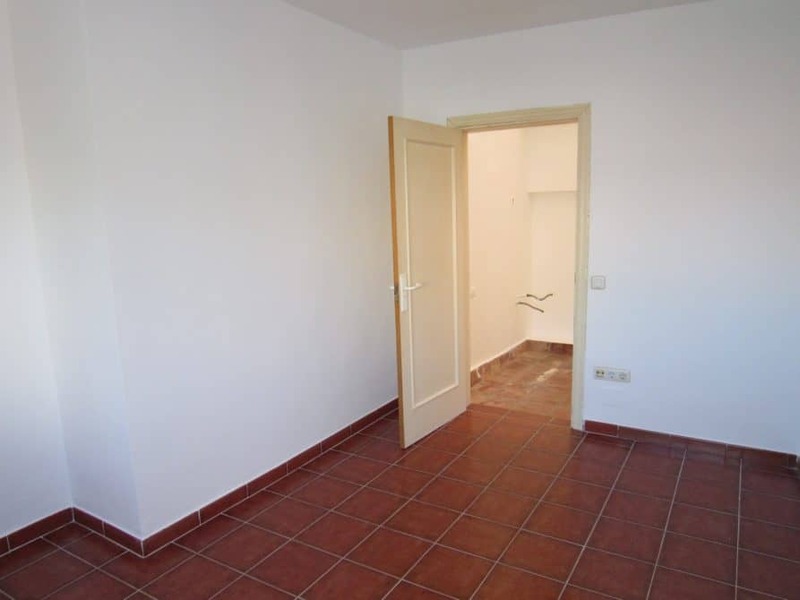 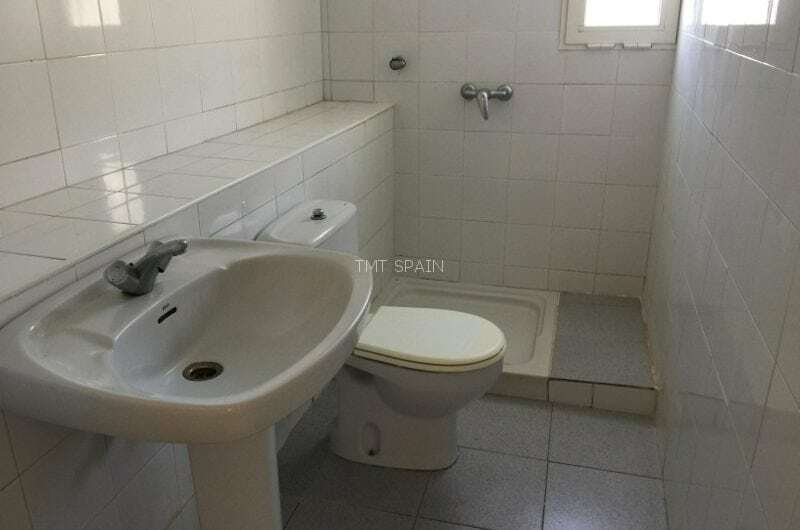 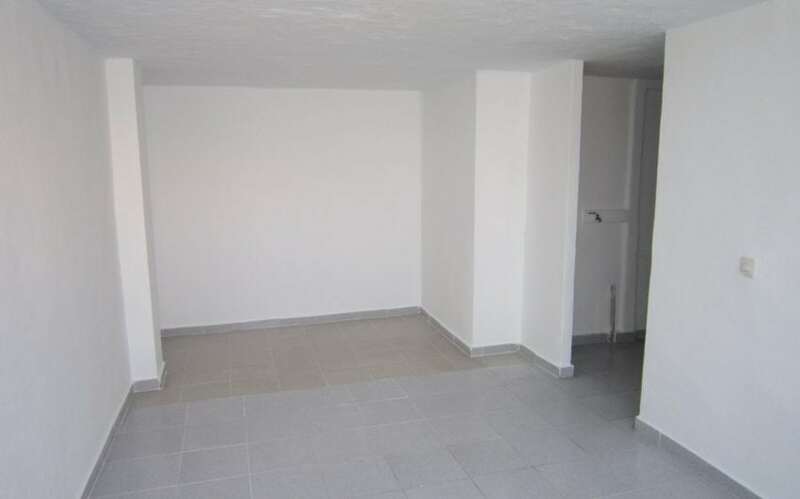 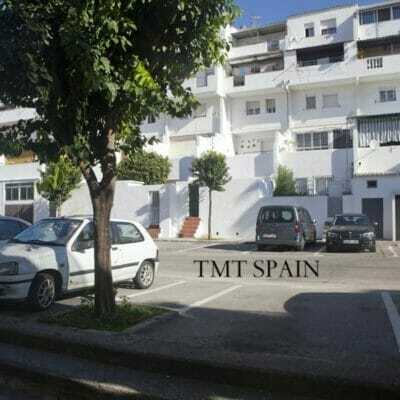 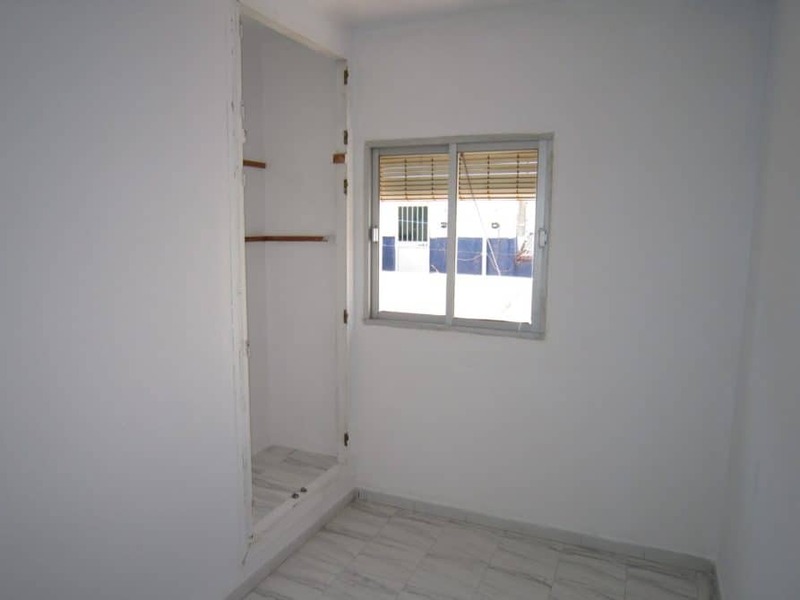 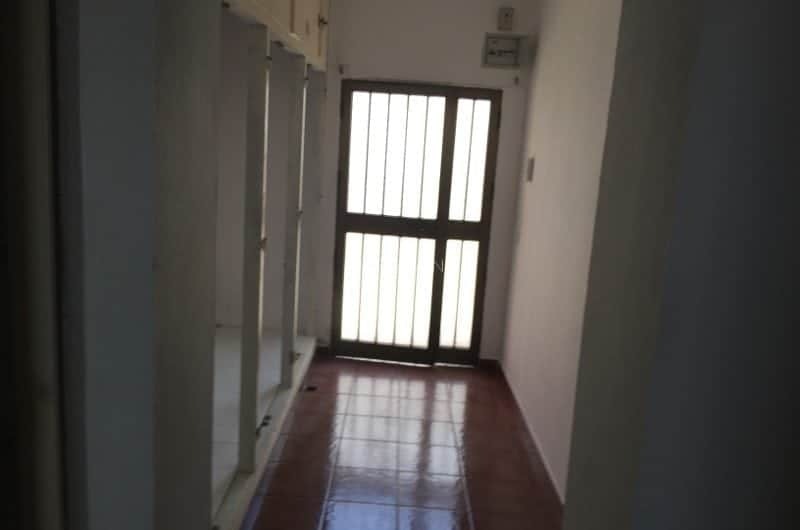 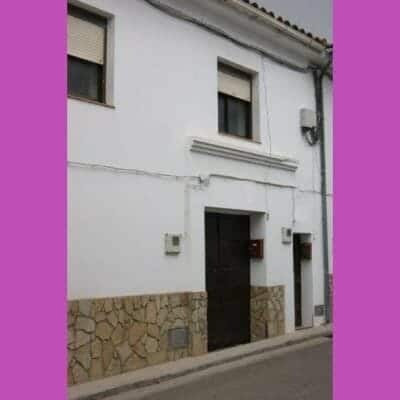 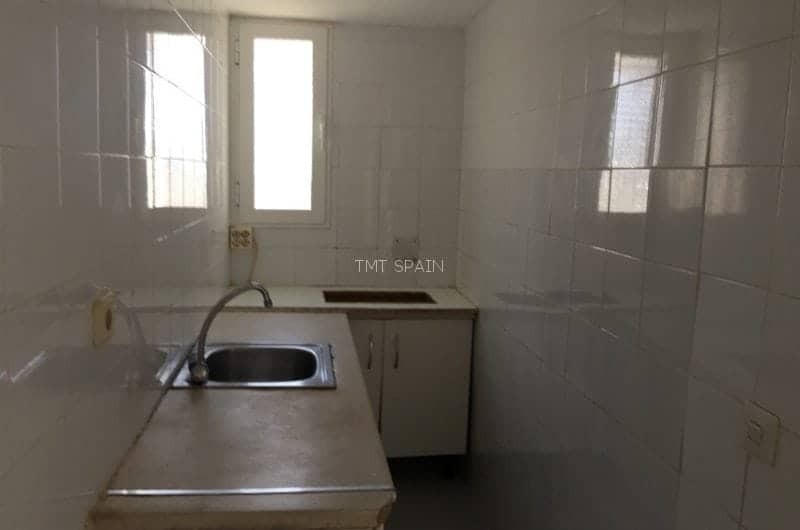 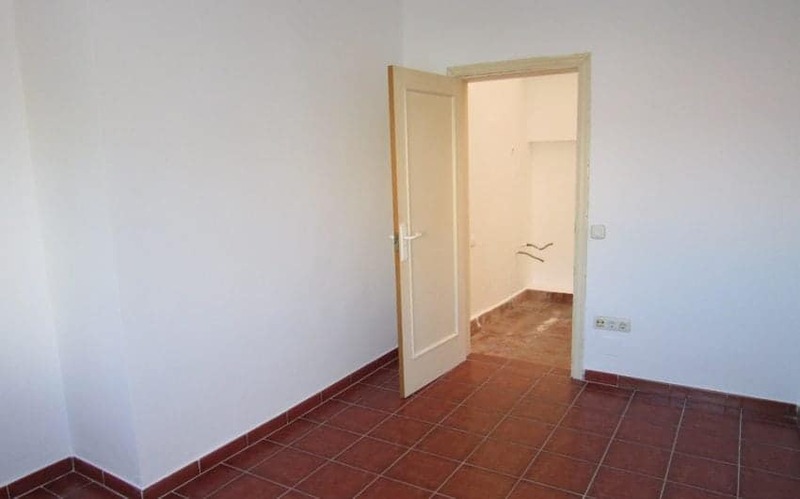 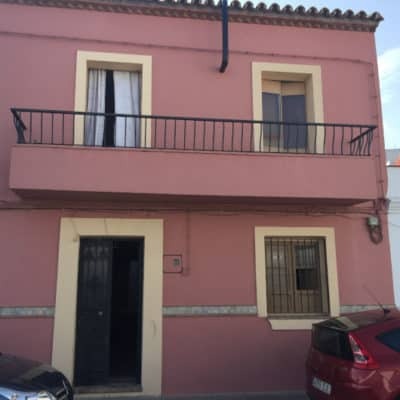 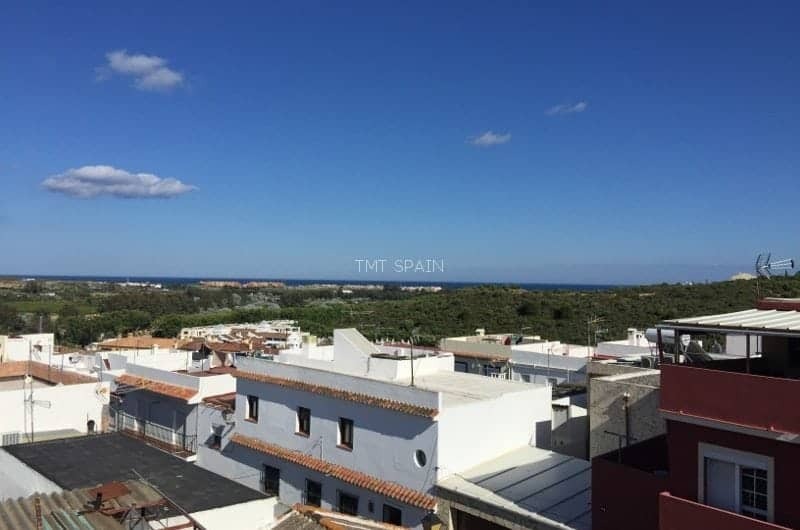 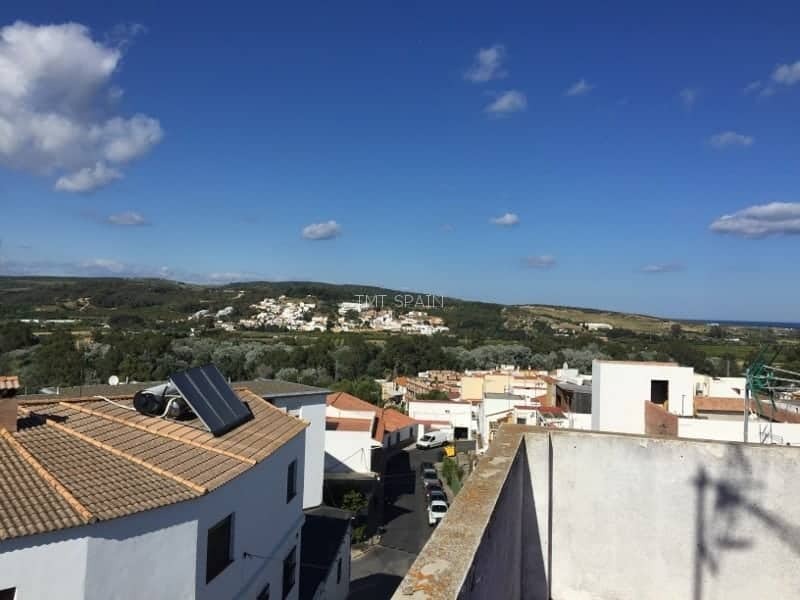 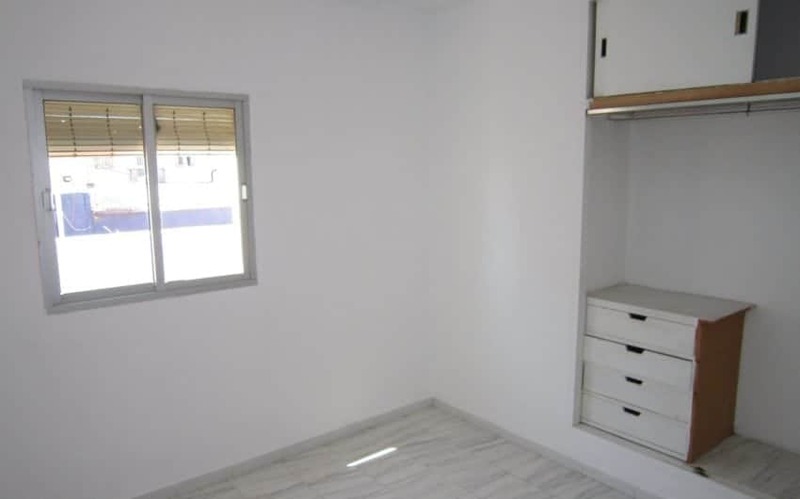 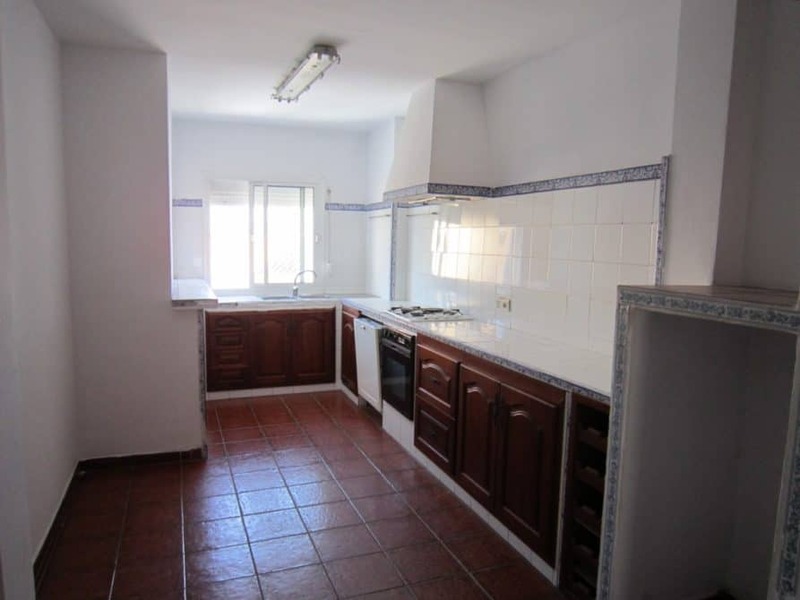 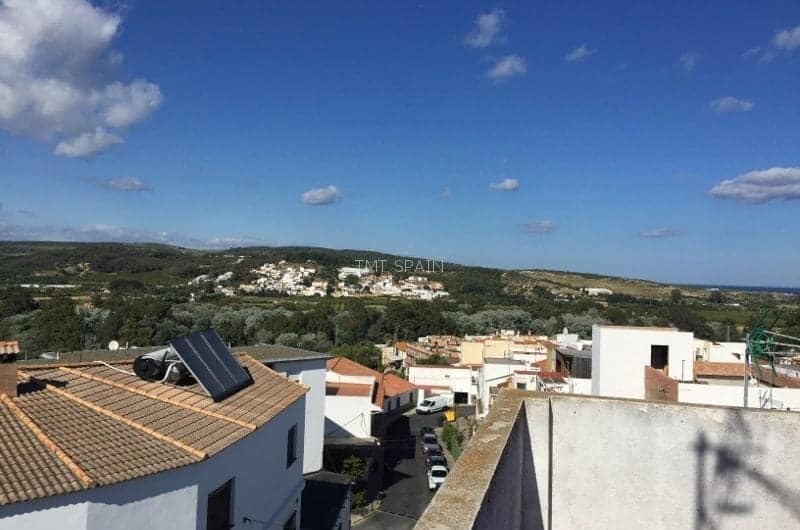 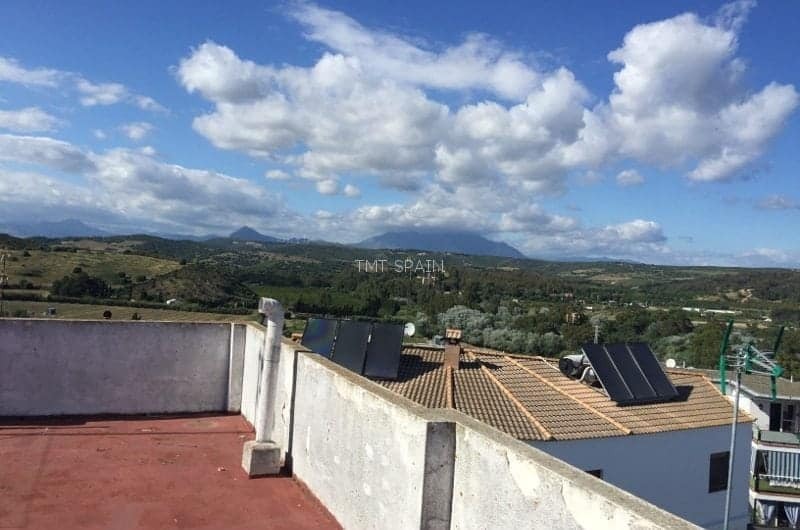 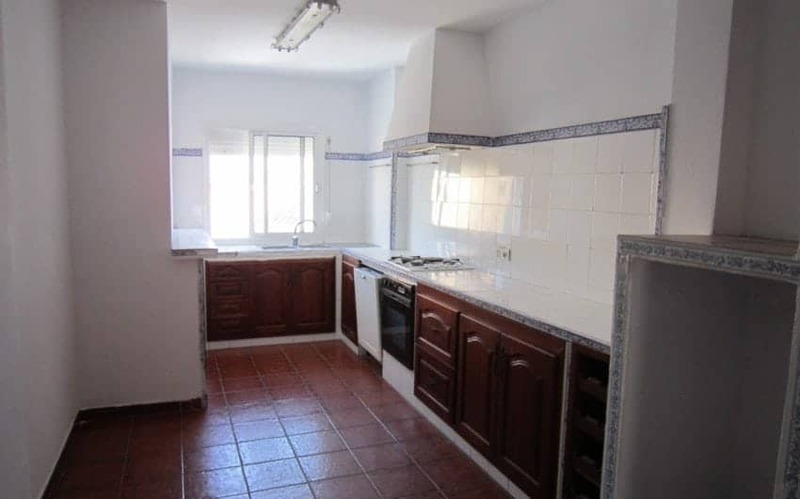 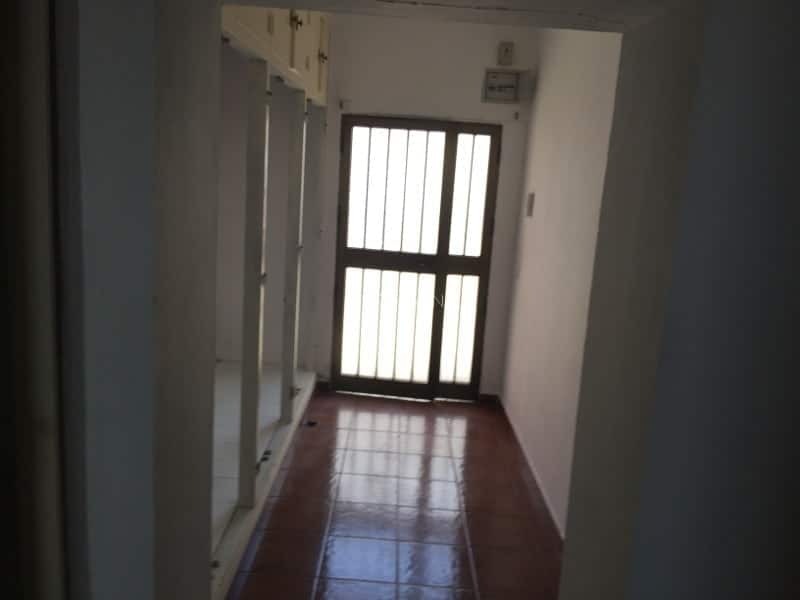 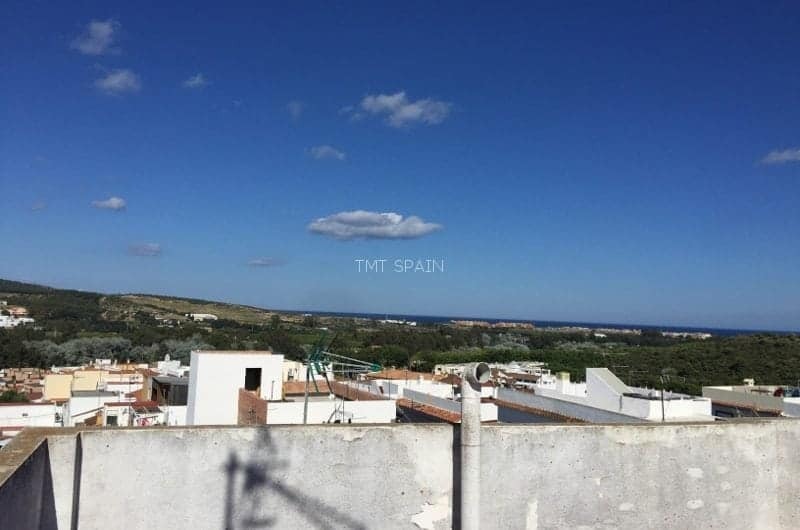 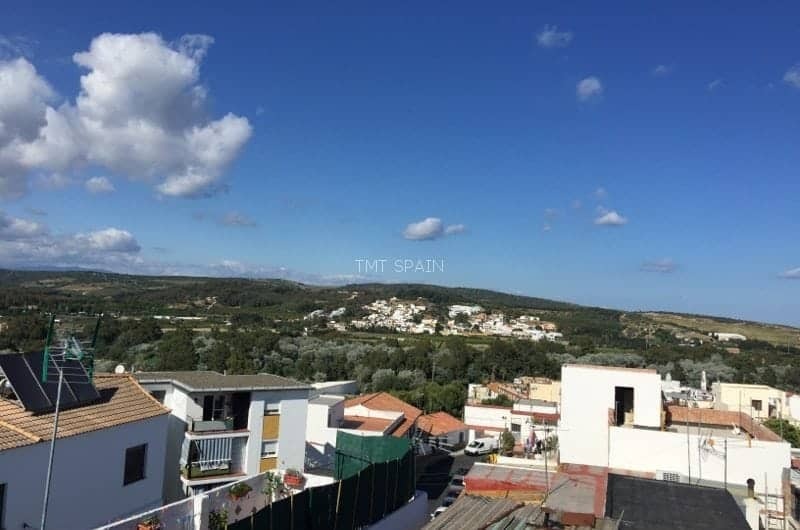 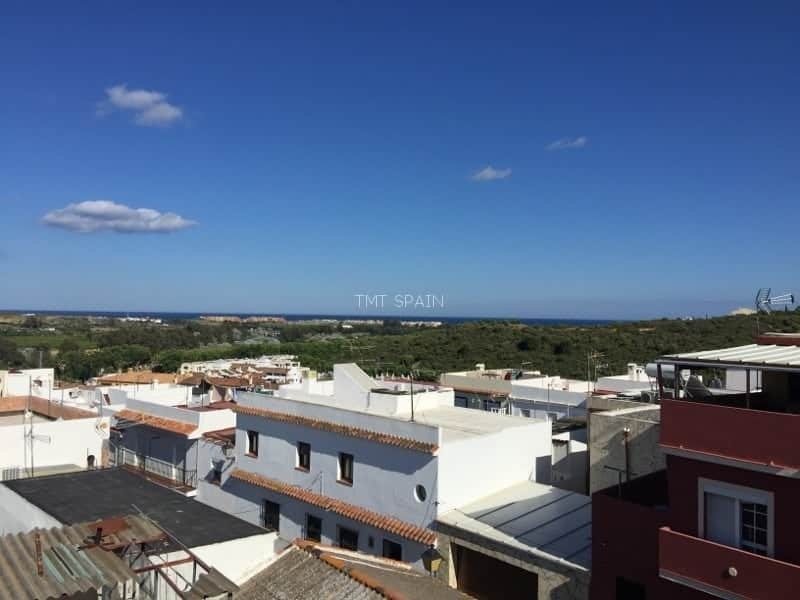 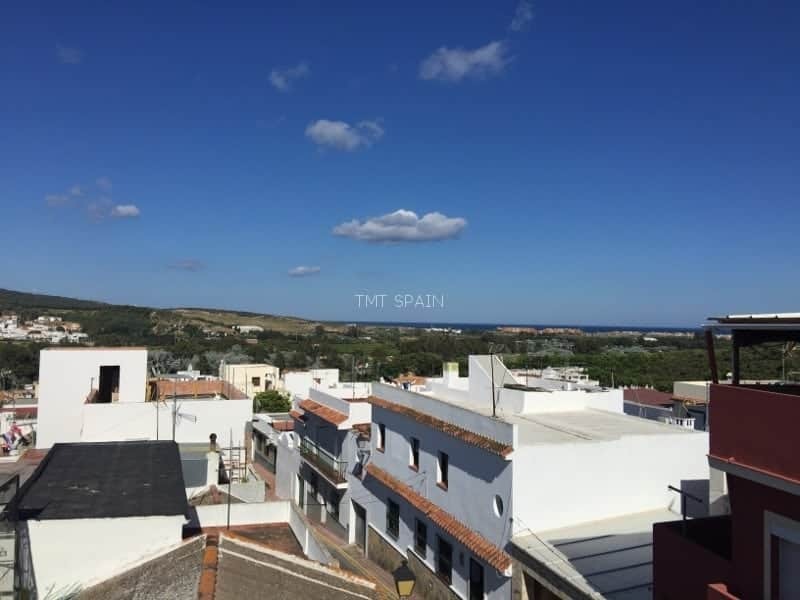 This bank repossession in Guadiaro village is near to Sotogrande, Pueblo Nuevo, La Cañada Public Golf Course, supermarkets and shopping malls. 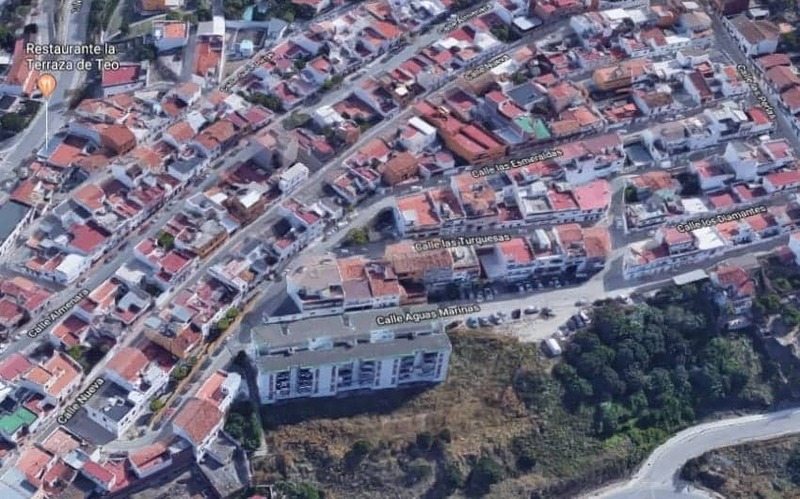 Many locals in the area around Sotogrande, Pueblo Nuevo and Guadiaro use Supercor for fish, meat and wines then nip next door to Mercadona for the rest of the shopping. 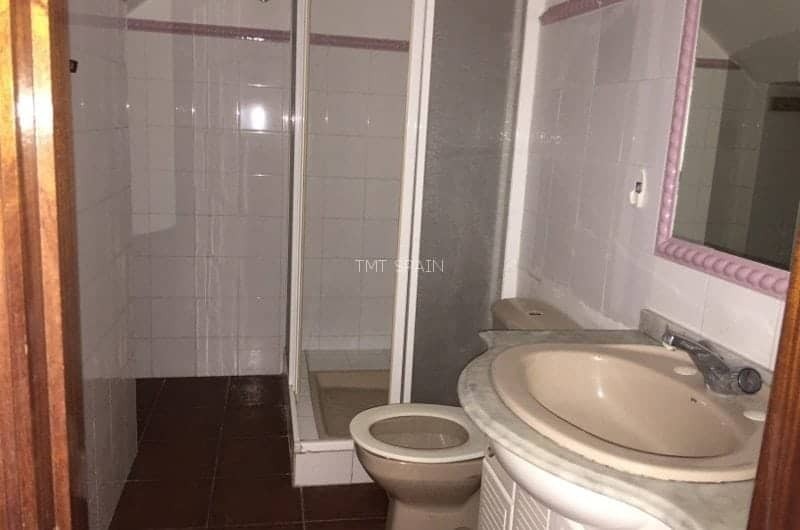 I'd like to know more . 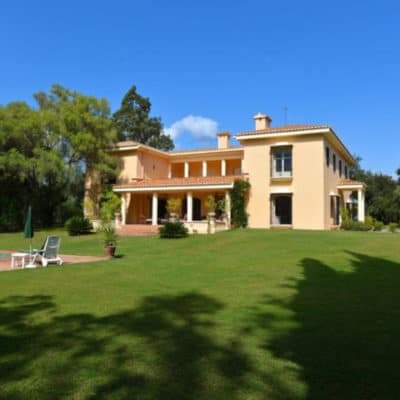 . .
Jimena de la Frontera, Sotogrande . 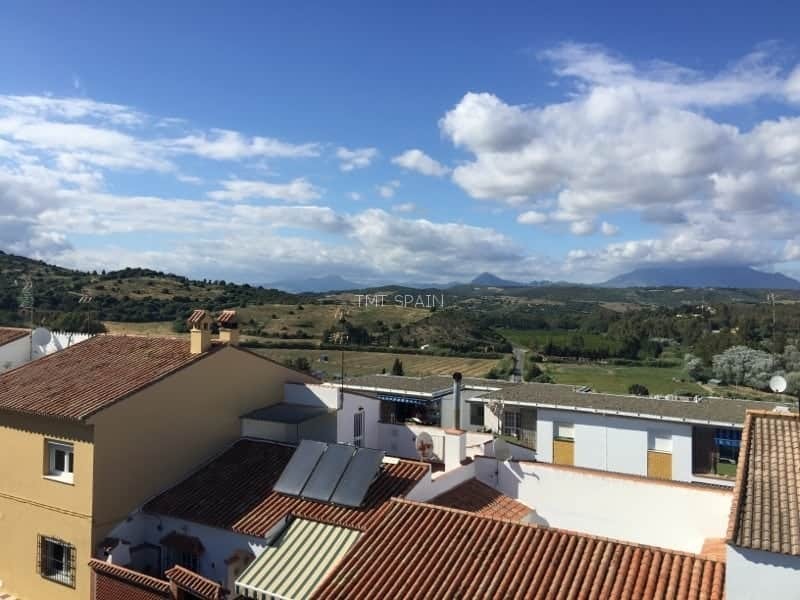 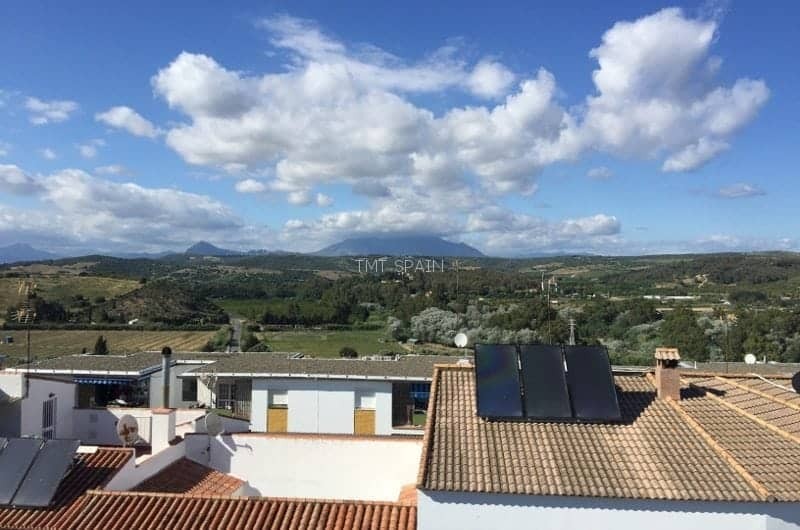 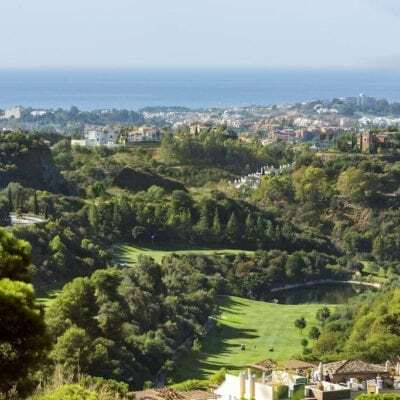 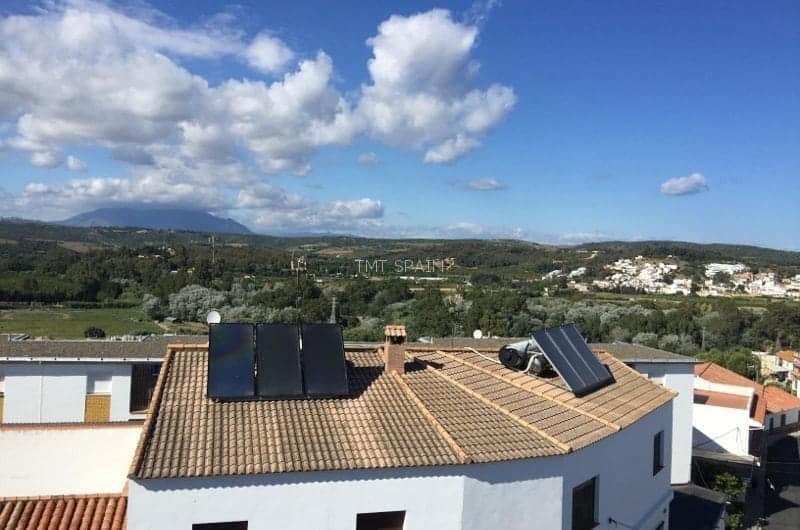 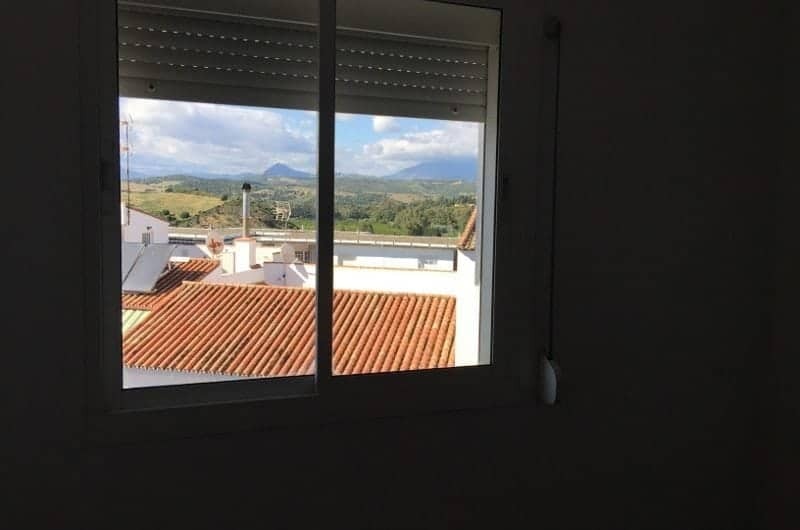 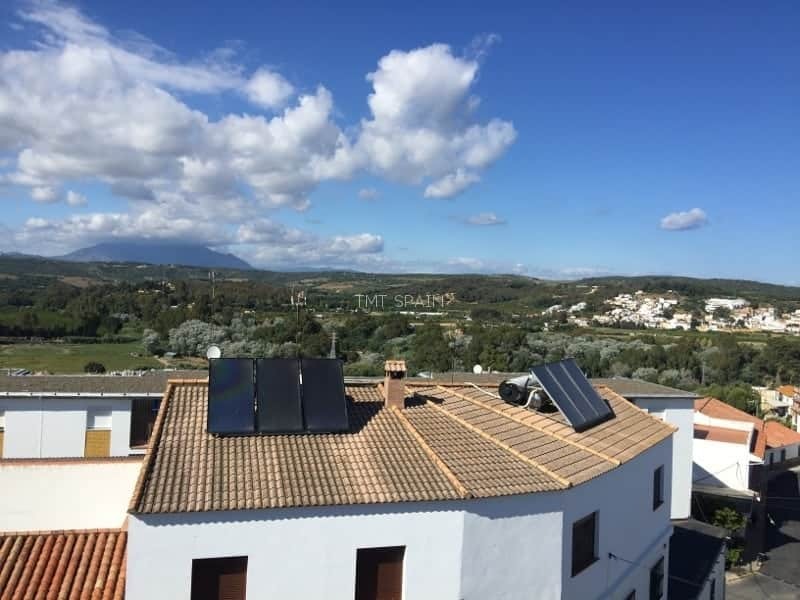 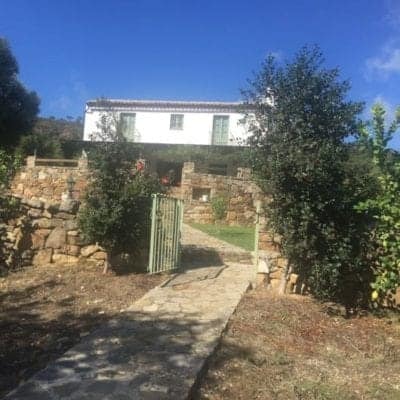 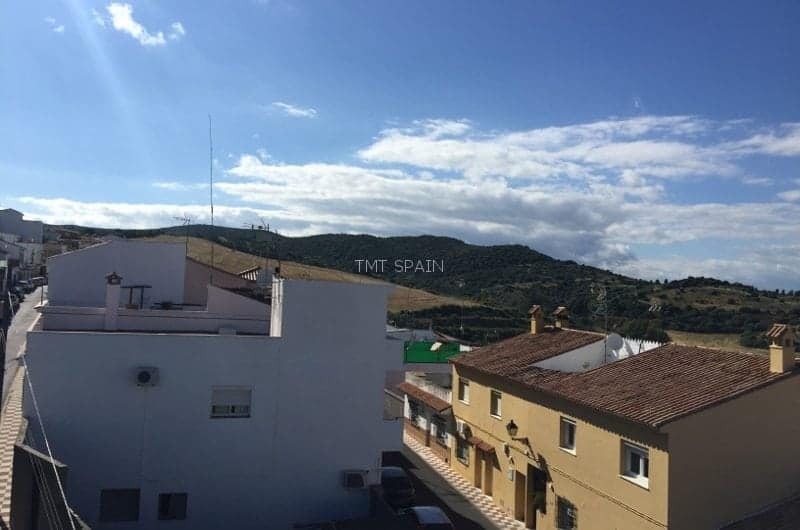 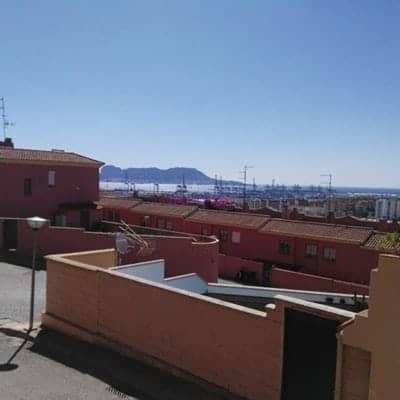 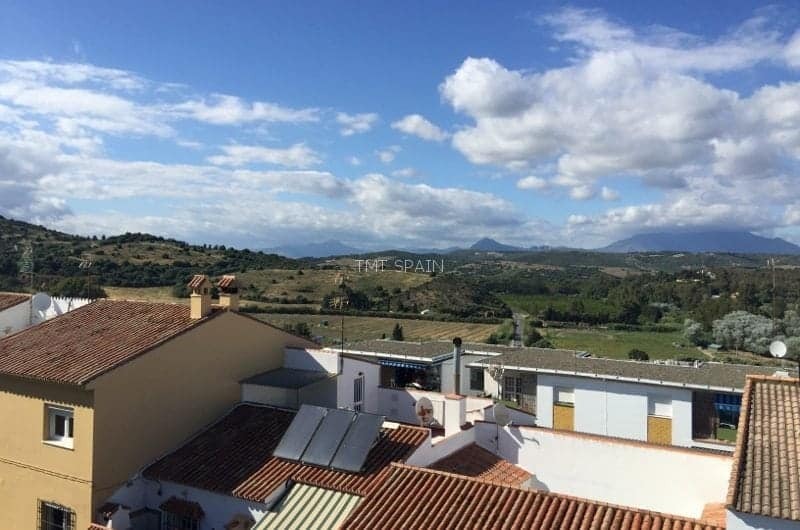 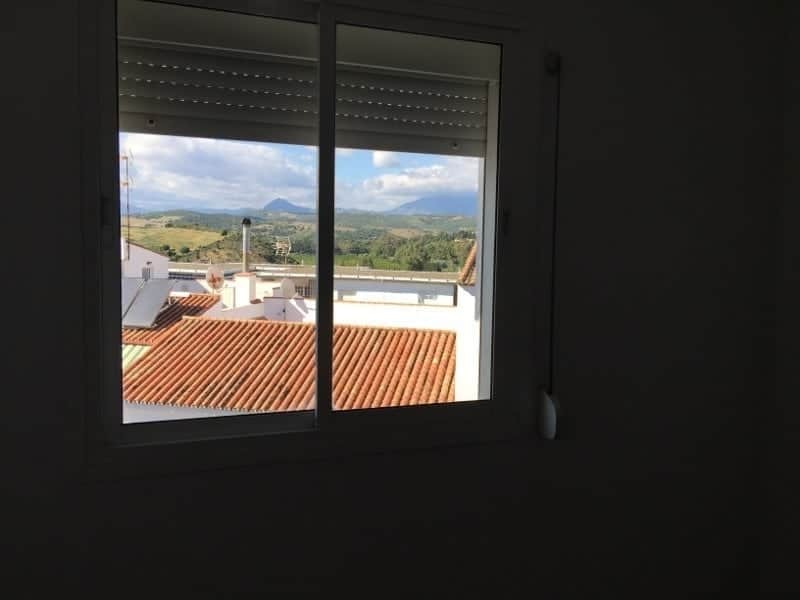 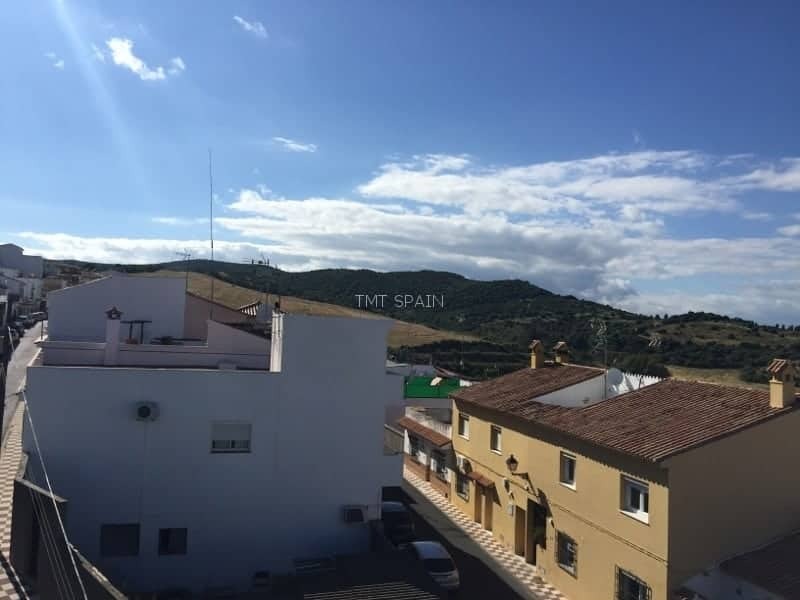 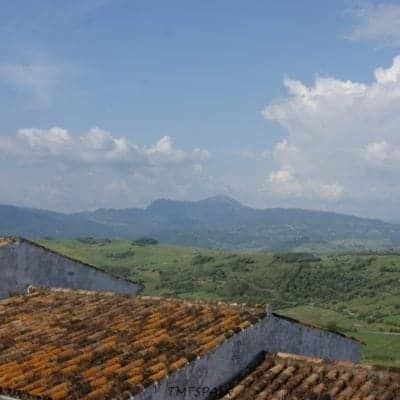 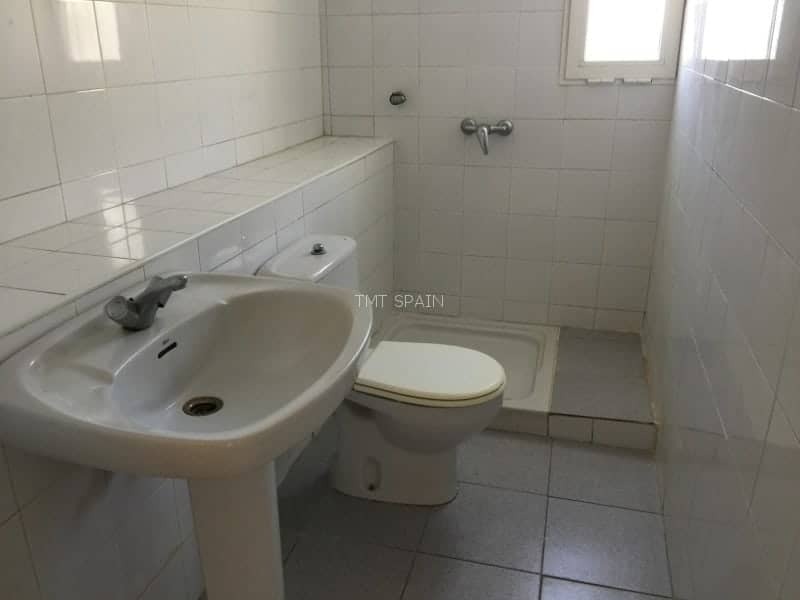 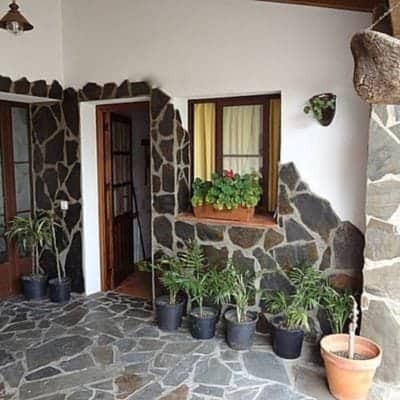 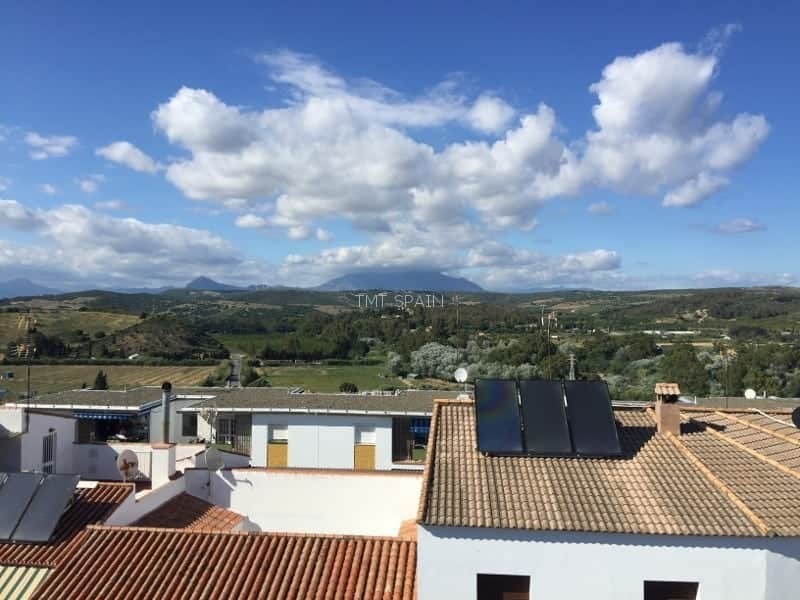 . .
Properties for Sale and to Let short and long term: Gaucin, San Pablo de Buceite, Jimena de la Frontera, Alcaidesa, Sotogrande, Casares, Estepona & Benahavis.